tl;dr It's clear now Twitter is working massively on improving experience for logged out users. 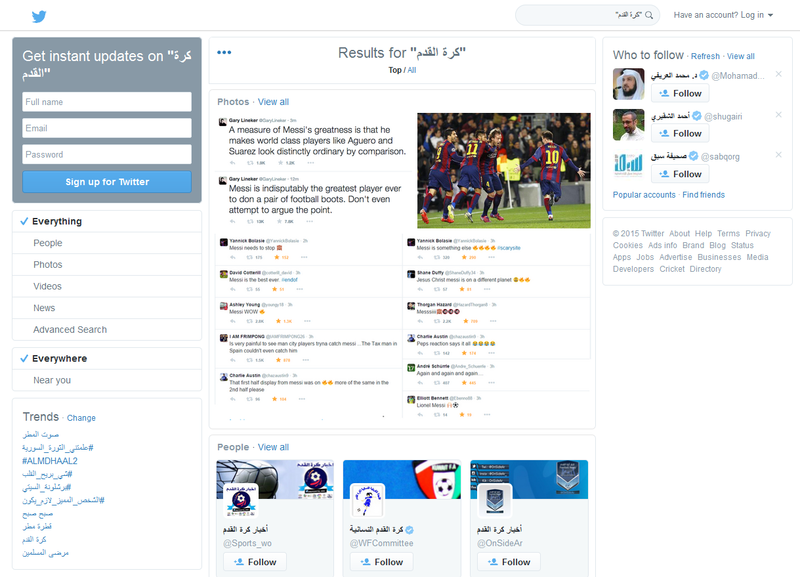 A very important updated for Promoted Trends globally and for Middle East was rolled out today. It’s clear now Twitter is working massively on improving experience for logged out users. A very important updated for Promoted Trends globally and for Middle East was rolled out today. Promoted Trends can now be viewed on both search page and profile page for logged out users. This update is launched globally to 100% of users. Early experiments indicate that advertisers can expect to see a 15% bump in daily impressions. This makes our Trend offering even more valuable than it is in MENA. We were also told that incremental impressions on logged out are from the PTr module only (not timeline) and will come from desktop. The update allow accessing of Profile Pages which means more profile views -and possible more follows- to brands. Anthony Noto, Twitter’s chief financial officer, said at the company’s analyst meeting in November that it had been working to make tweets easier to find through search engines, and that negotiating with search providers could be a “unique opportunity” to distribute tweets to more people.